Denmark has such a long winter that the translation applies mostly to cold weather/indoor activities such as cuddling up under a blanket and watching a movie, staying in and playing a board game and drinking hot chocolate or meeting a friend for a leisurely coffee and pastry. All of those examples are deeply appealing to me (I’m a great cold weather person) but the version that applies the most to us here is sharing a warm meal with people you love. Easy enough, right? Many of us do this every day, but what really brings the hygge is melting into it, being present and enjoying every moment of it. Guess what else is triggered by sharing a meal with someone you love? Oxytocin. That’s right, the feel good ‘love’ hormone that is triggered by hugging, receiving a gift, breastfeeding and birth, is also triggered by sharing a meal. 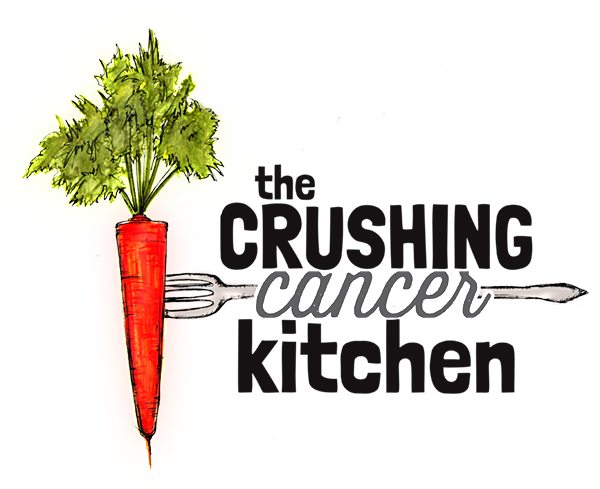 This hormone is also thought to have a therapeutic effect on our health, including cancer prevention. The meal I’m sharing with you today is all wrapped up in hygge. It’s warm and cozy, deeply nourishing and perfect for sharing. 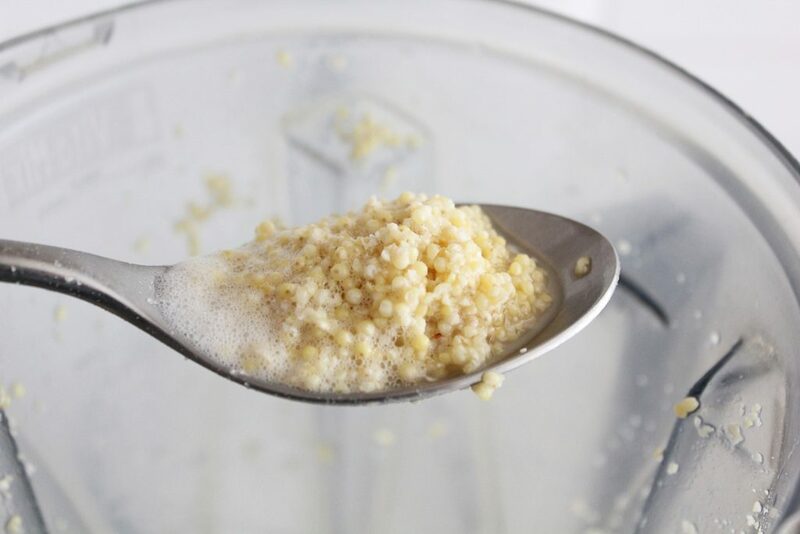 We did Millet Polenta in a post a while ago, and it remains one of my fave, easy meals. It’s also rich in vegetables while not bragging about it too loudly. 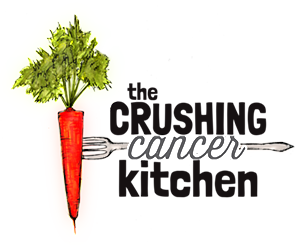 The beets and greens are great for the blood, but feel free to roast your favourite veggies/greens to top it off with, or even serve it with a Spinach Salad that will partially warm and wilt, nuzzling into the warm polenta. 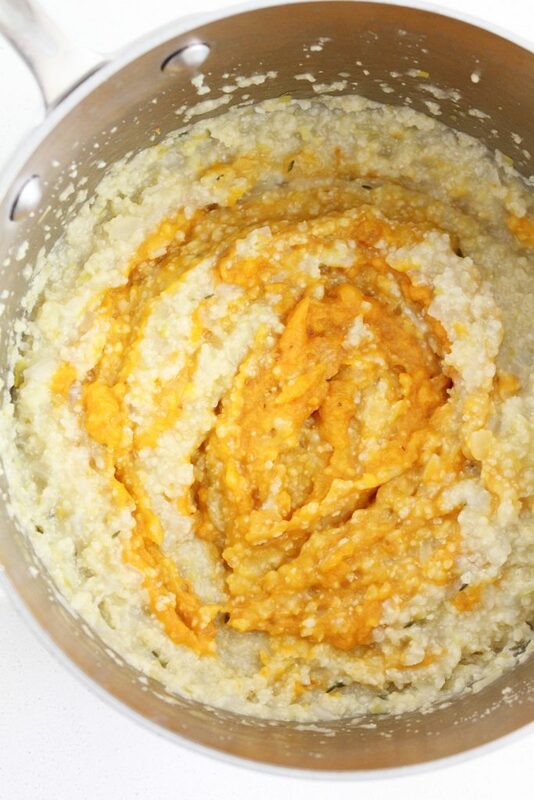 The squash purée stirred into it adds some sweet richness and that orange pigment that lets you know that there is beta carotene present (the precursor to vitamin A). 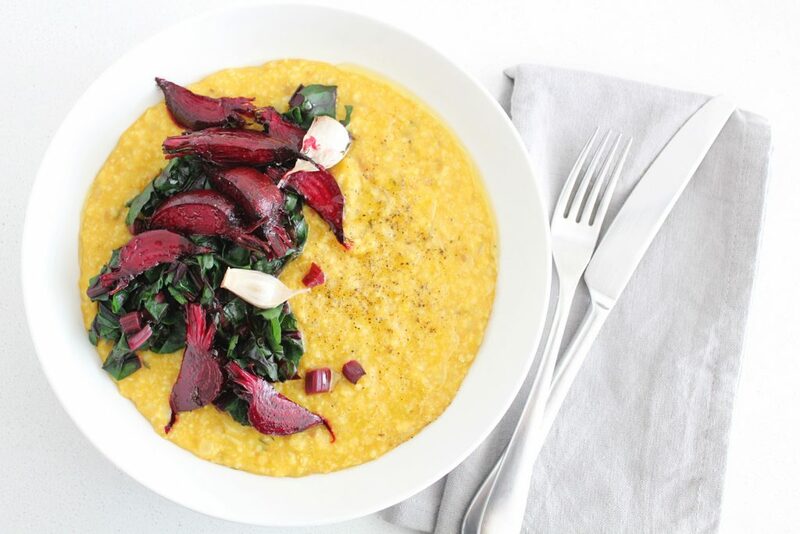 There is also an Allium party already happening in the base of the polenta (onion family) and the fact that millet is an alkaline grain and far more allergen-friendly than cornmeal, makes this a pretty solid cancer-crushing, share-worthy, hygge-inducing meal. We are the masters of hygge around here these days, thanks to the chilly weather, new baby, comfortable clothes, visitors and a freezer full of healthy comfort food. It’s really nice to have a reason to slow down to remind us how good it feels and ultimately to remind us that we don’t need an excuse to treat ourselves to some cozy Danish moments. 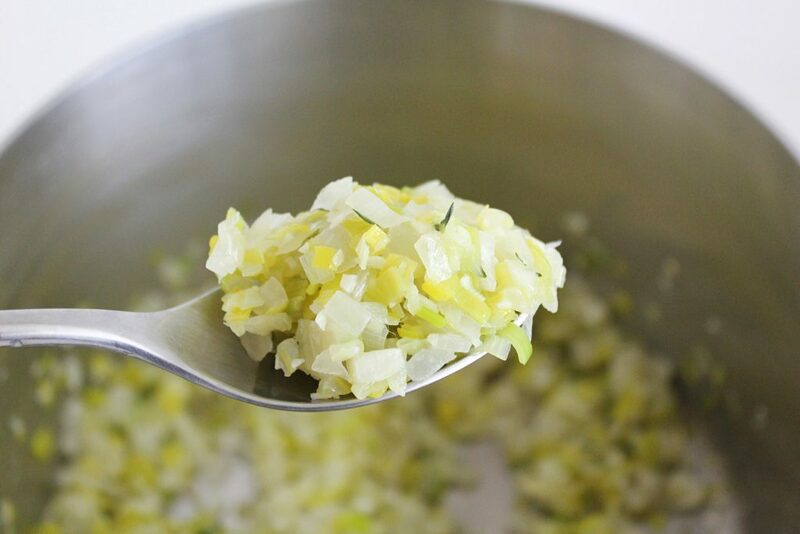 In a pot, melt the coconut oil and add the onion, leek, garlic and herbs, along with a splash of water. Sauté on med/low heat until the veggies become transparent. Meanwhile, in a blender, put the soaked (drained) millet and the fresh water. Pour the contents into the pot with the sautéed veg, raise the heat and whisk until it comes to a boil. Once it comes to a boil, lower the heat to medium (a mellow simmer) and put the lid on top (to avoid attacking lava bubbles and liquid evaporation). Let simmer for 20-30 minutes, lifting the lid every few minutes to stir. Don't worry too much if it starts to stick to the bottom a little bit, but if it sticks a lot, lower the heat a bit. 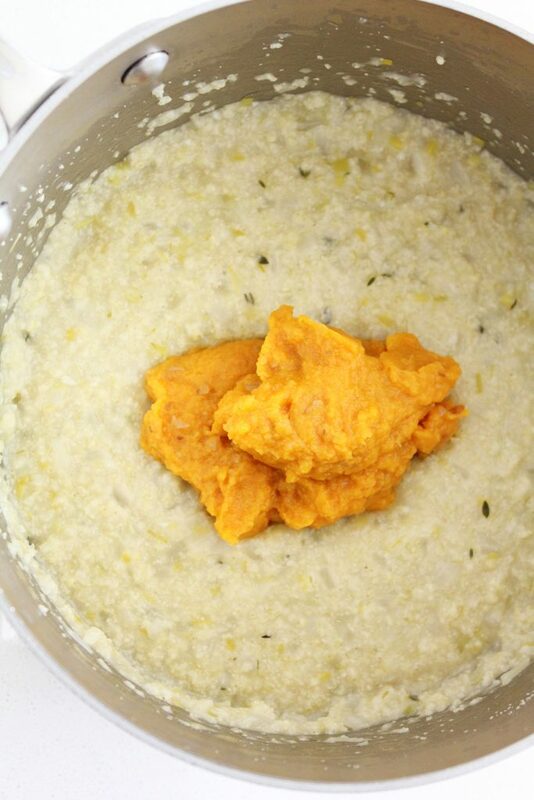 Taste it; once it tastes smooth and cooked (not chalky and grainy) stir in the squash purée and adjust the seasoning (sea(weed) salt and pepper). 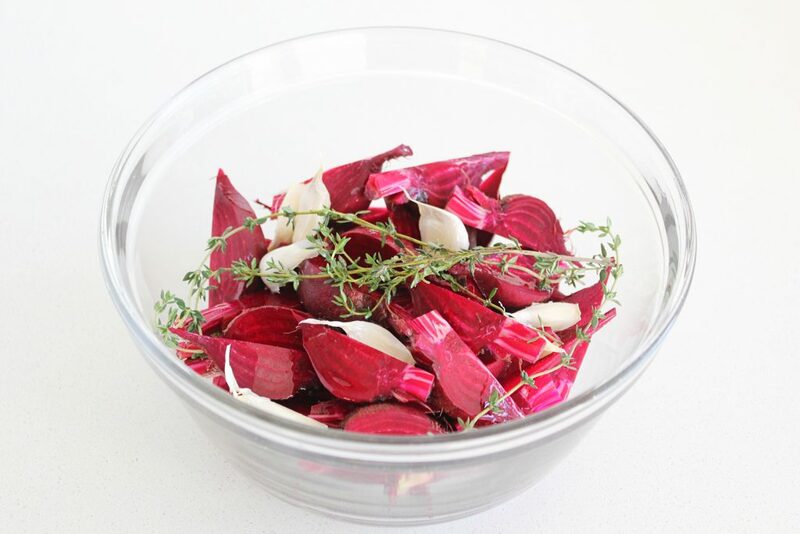 Pour into bowls and top with the beets. 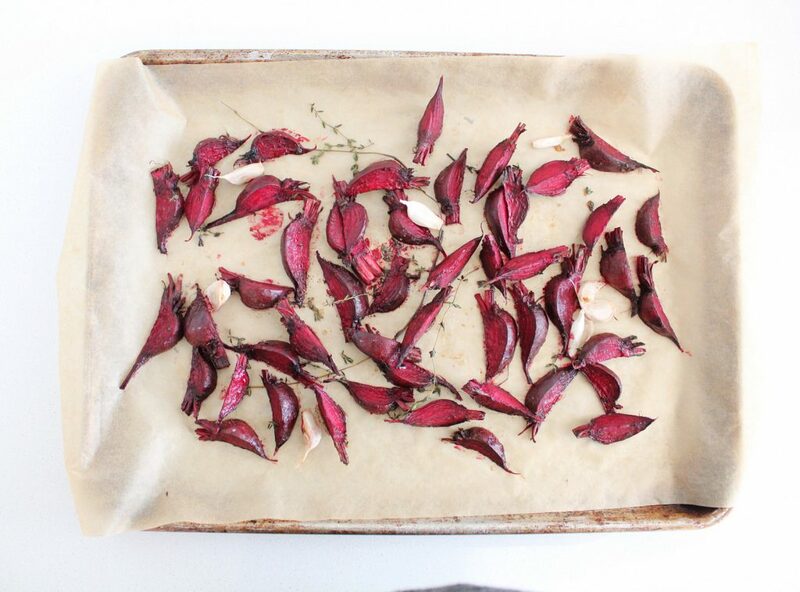 Wash the beets and cut into wedges if the are small (1/8ths) or dice them up if they are larger. Reserve the greens. 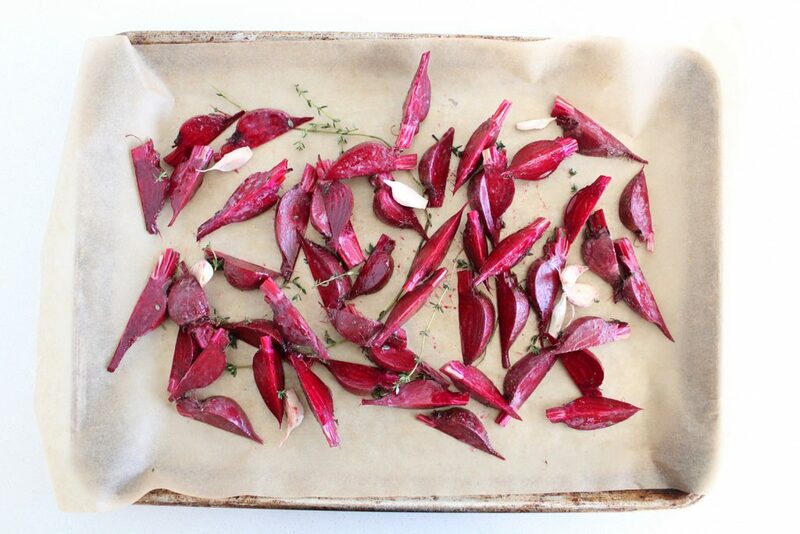 Toss the beets with the melted coconut oil, fresh herbs, garlic and vinegar. Roast for 25-30 minutes or until the beets are tender (toss in the lentils for the last five minutes if you're adding them). Taste them, they should have a balanced acidity, you may want to add an extra Tbsp of vinegar (I did, but I'm into that). 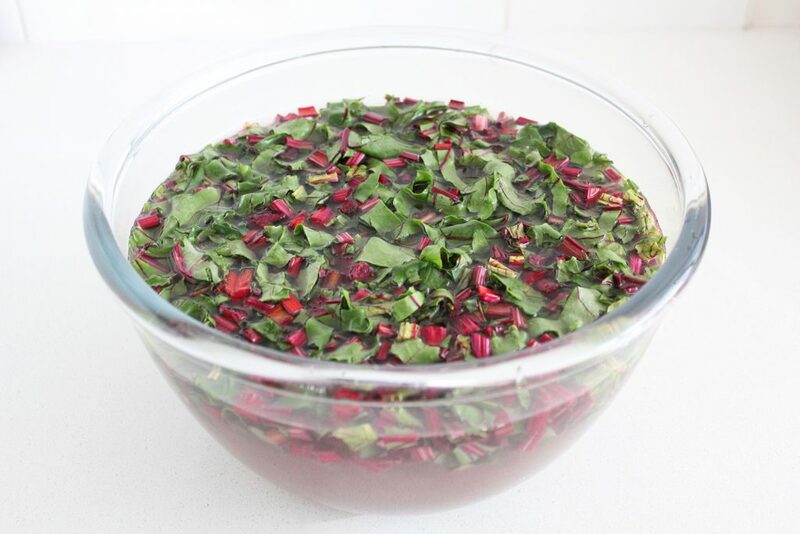 Chop up the beet greens and wash them in a bowl with lots of water. Lift them out of the bowl and into a large frying pan, allowing them to steam in the water that is still clinging to them. 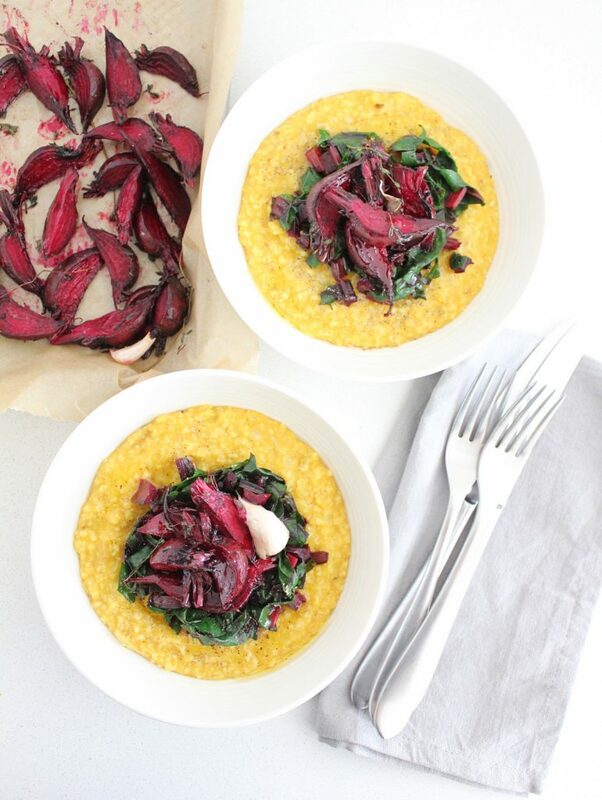 Spoon onto the top of the bowls of polenta along with the roasted beets. Drizzle on some extra virgin olive oil and fresh cracked pepper before serving.